Much of the time I stay so busy that even God has trouble getting my undivided attention. This changes when I drive to Del Rio to work on horses. I have no cell or radio service for most of the trip so God takes advantage. Last trip he had me pondering my pastor’s sermon on getting my soul and Spirit in agreement so I can stay in His will. He gave me these words of wisdom from the viewpoint of an old soul. I am an old soul and I came into this world with a flash of remembrance. I have been here before and I know how this place works. I called out for the one who brings the light and his helper, the Holy Spirit. I wanted to be in agreement with the Spirit from the beginning. The Spirit was waiting and moved right into my heart. Even with His protection and guidance I sometimes found myself lost and uncertain but I did not despair. I have been here before and know how this place works. Life has been full of abundance and joy mixed with occasional sadness. With the help of the Spirit I have been able to weather all of my troubles and minister to those younger souls who do not yet know how this place works. Now my time on earth is coming to an end. I have had a blessed adventure. I was able to put a world of hurt on my old friend, the devil. He won’t miss me. 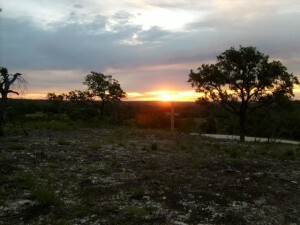 This entry was posted in Other Stuff on May 9, 2012 by Madalyn Ward, DVM.